Episode 22 of The Dash Podcast. 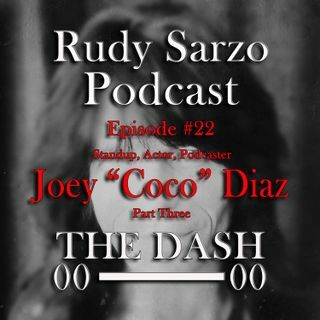 Part 3 of my deep and brutally honest conversation with standup comic, actor and podcaster Joey "Coco" Diaz. In this episode Uncle Joey shares his stories of growing up in a Cuban family, his Netflix comedy special "Degenerates", his comedic influences and his upcoming Fox series "Uncle Joey". I Hope you enjoy it and I look forward to your thoughts.